Six hardy birders descended upon Amherst Island in search of owls, hawks, eagles and anything and everything in between. We caught the 10:30 AM ferry from Millhaven, returning back to the mainland by 5:30 PM after catching the 5:00 PM return ferry. The start temperatures hovered around -23 Celsius (feeling like mid minus 20’s with the windchill); the end temperature hovered around -16 Celsius. Very limited wind by mid-afternoon (8 km/h NNE) and blue skies made for one of those classic, lovely winter days here in eastern Ontario. Birds of Prey are everywhere on the island. There is undoubtedly a good stock of deer mice and meadow voles; on that note, we noticed tracks in the snow seemingly everywhere we stopped. 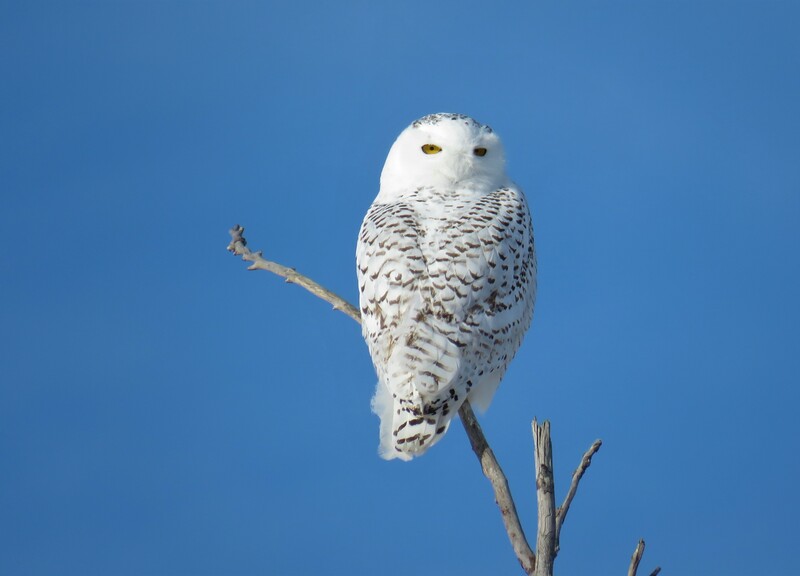 By the end of our tour, we had tallied a total of 17 Snowy Owls, 10 Short-eared Owls, 9 Rough-legged Hawks, 6 Red-tailed Hawks, 5 Bald Eagles, 2 Northern Shrike, 1 Northern Harrier and 1 Northern Saw-whet Owl. 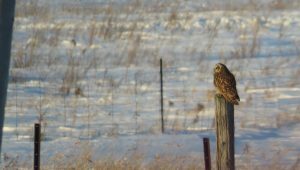 I must say, and I feel I’m speaking for all present, the Short-eared Owls were the highlight. We observed a two groups of four and two loners. 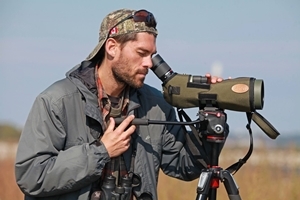 In some cases, we observed Short-eareds hunting, which was lovely to observe. Short-eareds flap about like giant Saturniid moths; a completely unique wing stroke. 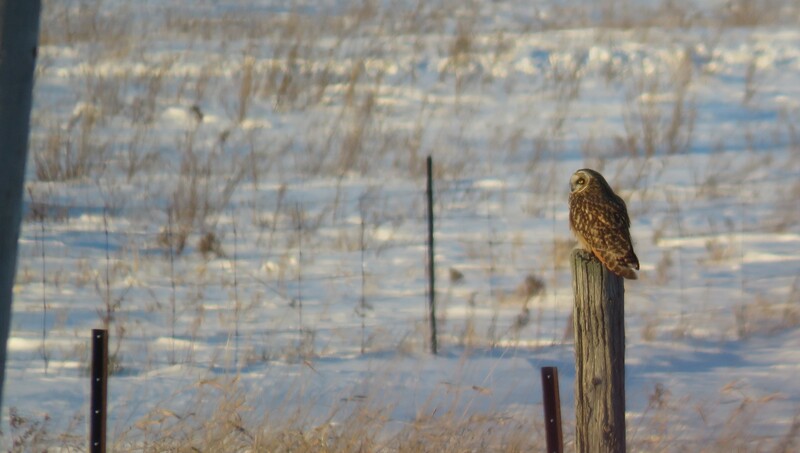 Photo: Short-eared Owl, one of 10 observed on the island. 29 December 2017. 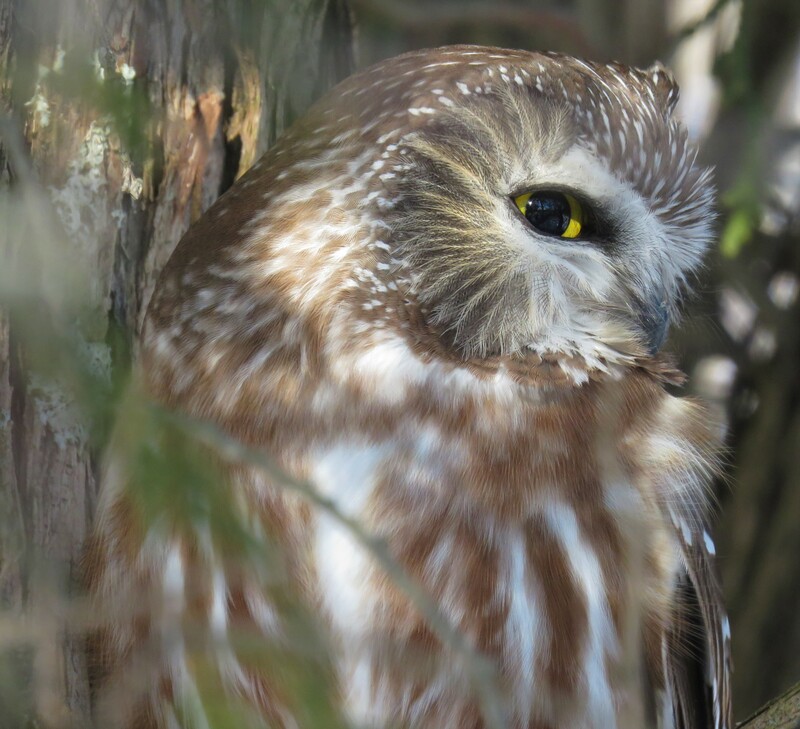 Photo: Northern Saw-whet Owl, spotted by Victor (great spotting, Vic!). 29 December 2017. Photo: Snowy Owl, one of 17 observed on the island. 29 December 2017.